The whole world has gone solar power crazy, and it’s one thing that you can do for your home to reduce your carbon footprint and save yourself money on energy costs each year. If you’ve made the recent decision to install solar panels on your home, you probably already know just how many choices there are out there for contractors, all claiming to be the best solar vendor. To save you from some of the headache, we’ve come up with the questions you should be asking when choosing a solar contractor so that you know everything about the company before you invest. 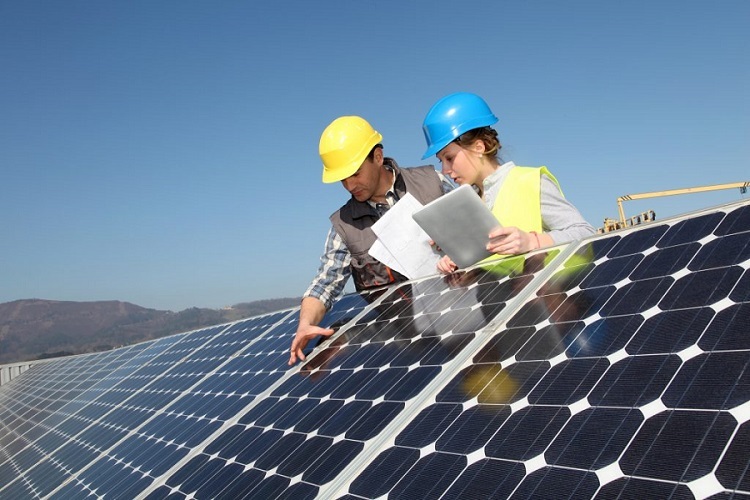 With all of this background information, you’ll be in the best possible position for how to choose a solar contractor and save yourself time and money on getting quality panels installed. The most important thing you should be looking at when choosing a vendor is the quality of their panels. Choosing something cheap but flimsy means you won’t get the best returns on energy and you’ll inevitably have to replace them within just a few years’ time. It may cost more in the short term to get something higher quality, but it will be well worth the investment down the line. Some solar vendors offer more than one brand or style, and each will come with their own level of quality. The two main types of solar panels are poly-Si and Si, with both styles having their own pros and cons. A reliable solar panel contractor should be able to answer any questions you have about their benefits to your home and possible downfalls. You might already have an idea of how much area you want to be covered with solar panels, otherwise, a vendor can show you what’s recommended. The more panels you have doesn’t necessarily mean the more power they will create, as this is largely a result of the quality and type of cells used. Where your panels are located is also important as some parts of the roof will be in line with the desired sunlight, so choose carefully. 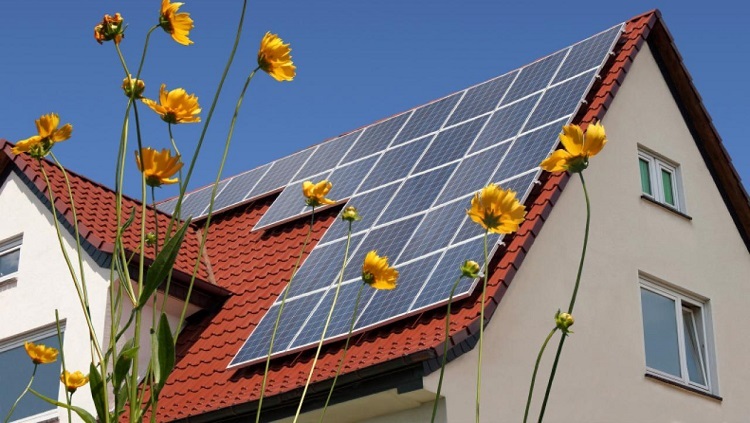 After the solar vendor visits your home and measures up the area, they should be able to provide you with a quote. Some might have a few options available to reach different budgets, and others will just supply the one type of panels and inverters. If you’re unable to come up with the full cost upfront, some might offer financing options such as interest-free loans or fixed payments that can allow you to get the installation done now and pay for it later. All quality solar panels and the inverters that come with them should be backed up by a solid warranty. A good warranty period on the power output should be around 25 years at a minimum, so look for this when choosing your preferred vendor. Be sure to look closely at what the warranty period covers, as there should be repairs of silicon cells included. These cells can be measured to see their output and when they fall below a certain percentage they will be liable for replacement under warranty. 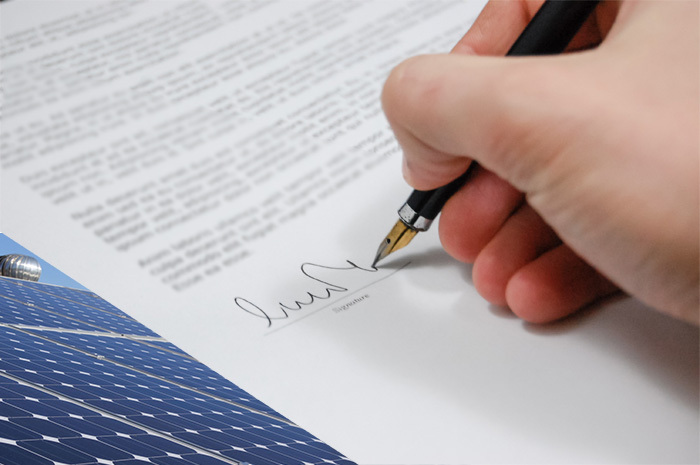 The Northern Board of Certified Energy Practitioners covers solar installment in the United States and they are responsible for certifying work done by a solar vendor. When choosing a contractor, ensure that they have been certified by this board as they have strict eligibility requirements in order to be selected. A quick check on the Better Business Bureau can also give you an idea of a company’s credibility, so be sure to run their name through this website as well. The easiest way to find out about your proposed solar vendor is to do some research on their reputation. The internet has opened the doors for how we give and receive reviews on businesses these days, but you still need to be cautious about believing everything you read. If your neighbors have solar panels it might be best to speak to them directly about how they used and whether or not they recommend them, otherwise a quick search online could lead you to more information about a brand’s reputation. Any contractor with multiple reviews that seem legitimate will be a good indication of their work, so don’t simply trust one-off comments or recommendations. According to the US Energy Information Administration, the average American household spends over $1,400 a year on electricity. When you consider that installing quality solar panels can save you around $50 a month on your energy costs, this will more than pay for itself over time, provided you choose something quality and installed by a professional contractor. Making the decision to have solar panels installed shouldn’t be taken lightly, though, as it can be a big investment so don’t jump straight in and book the nearest solar contractor near me without looking around. Be sure that you’ve had all of your questions answered before you go ahead with the work and you’ll begin to see instant results on your monthly bills. As always when doing anything home renovations or improvements, it’s best to get a few quotes from contractors before you decide on the right one. Each might have something different to offer or current promotions for reduced prices, so it pays to spend your time doing research. Not only is solar helpful to your monthly budget, but it can have a hugely positive impact on the environment, so it’s well worth the money.